One of the theories running through Westworld from the very beginning was the almost inevitable reveal that a character thought to be human would turn out to be one of the park's synthetic Hosts. Given the at times too deliberate focus the series has put on his backstory – often with Dr. Ford reminding him of the sorrow of having lost a child through cleverly stilted dialogue that sounded more like command than a conversation – his discussion with his wife via a suspiciously wonky video chat, and his generally inquisitive nature about the rise of consciousness in Hosts like Dolores, the reveal that Bernard is actually one of Dr. Ford's creations is not that much of a shock, but it is heartbreaking. The "twist" alters the dynamic on the show in a way that goes beyond the same narrative trickery at the heart of so much of Westworld's appeal. Bernard is one of the characters for which the series has paved a road toward real understanding, teasing his tragic backstory and providing straightforward examples of his empathy and scientific curiosity toward Dolores. To a certain extent, Bernard was our man on the inside; he was loyal to Ford but freely questioned his boss' intentions with the reveries and even (politely) called him out on their failure – which, as it turns out, is really their greatest success. But he has also been kind to others; and in a show that at times doubles as a workplace drama, Bernard showed a very human kind of kinship with Elsie and Theresa that has yet to be established amongst the other characters working in Westworld HQ. As much as Dolores's journey toward consciousness is an intriguing adventure, it's not one the audience can truly glom onto. Instead, Bernard was our proxy: a character filled with the same sort of curiosity about what's going on as those watching, and one bold enough to allow the spark of life to grow rather than stamp it out to protect a revenue stream. 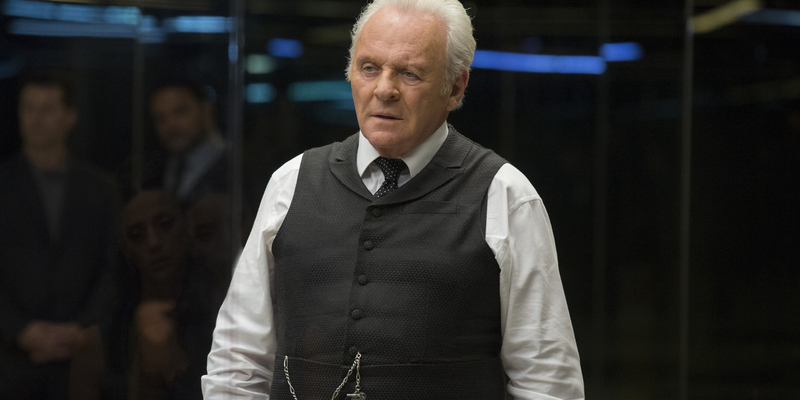 So, with that, Westworld's attempt to pull the rug out from under the audience doesn't only serve a narrative purpose in reconfiguring where characters stand in the grand scheme of things, it also echoes on an emotional level by rescinding the decency of a key character, turning him into a puppet for a man seemingly hell-bent on protecting his intellectual property and the sanctity of "the world" he's created by ordering the death of those who would oppose him. With that, the revelation that Bernard isn't who we thought (or even who he thought), does what it was likely intended to do: it leaves the audience rudderless both narratively and emotionally. Who else can be trusted as the audience stand-in? Is Bernard totally a lost cause or is there still hope for him (and those watching) that there's still more to him than meets the eye? As the questions begin to build in the wake of Westworld's biggest confirmed shake-up to date, let's take a look at how 'Trompe L'Oeil' created a slew of new questions. When Does The Bernard Revelation Happen? Theresa's death is as shocking as the reveal that Bernard is another one of Ford's creations. And there's a surprising similarity to Theresa and Bernard that makes his killing her all the more difficult to watch and to deal with moving forward. Following the arrival of Tessa Thompson's Charlotte Hale, Theresa was revealed to have been like Bernard: another cog in a giant machine. Like Bernard, Theresa was doing what her higher-ups demanded. The thinly veiled demonstration of Clementine Pennyfeather's potential violence toward guests that resulted in Bernard being fired from Westworld was a command from Charlotte. Although it didn't have life-ending consequences, it showed the power on both sides of the growing Delos-Ford conflict. But when does Theresa's death take place? The show's fan base has been sowing seeds of a multiple timeline theory for a while now, and Westworld has, on many occasions, helped tend that garden. One such example during 'Trompe L'Oeil' is when Bernard follows Theresa down into Ford's lab in the off-the-map house where his robot family lives. The cement walls and staircase just behind the room is visually similar to the place Bernard has been having his secret meetings with Dolores. So much so, one would could venture to guess that it is the very same location. And yet when he arrives with Theresa not only does he not see the door leading to the lab, he's exhibits shock that it's there in the first place. So when does Ford's ordering of Theresa's murder take place? Is there a chance that the Bernard conversing with Dolores is in the future, and that he's repurposed Ford's secret lab into a place where he can study the birth of consciousness in other Hosts? Or is Ford wiping Bernard's memories about having ever been in the lab in the first place, and using those meetings between Hosts as a means of furthering his own agenda? What Does the Corporation Want with Westworld? The arrival of Charlotte Hale has been the catalyst to a surprising chain of events resulting in the death of Theresa. Charlotte is a no-nonsense Delos executive who gives a better understanding of what's going on in the division between the corporation controlling Westworld and the man who created it. At the heart of the conflict is the intellectual property of Ford (and Arnold) that the corporations hasn't been able to get its hands on since financially backing the park all those years ago. Without knowing what the parameters of the deal between Ford and the corporation are, it's safe to say that the doctor doesn't want his life's work in the hands of a mostly faceless corporation for whatever they have planned. But what does the corporation have planned with the data being smuggled out of the park, and what do they hope to obtain following Ford's forced retirement? It's safe to say that Westworld's technology boasts a great many real-world applications, from military to medical and beyond. Earlier in the series, Ford spoke to Bernard about the apparent eradication of disease – which, in hindsight, serves as an early indication that Bernard's backstory was a work of fiction – but he mentions the next phase may well be the ability to bring the dead back to life. That's what Ford has already done and continues to do with the Hosts. Many are killed over and over again, but they are always brought back to life, and returned to their loops for the enjoyment of the park's guests. He has also done it with the first generation Hosts that serve as a reminder of Ford's inability to completely let go of the past, or as a direct refutation of his claim to be an unsentimental person. So is the application that Delos seeks from Westworld a loophole in the understanding that all things must die? Is William the Man in Black (Again)? The ongoing question of the series' two (or more) timelines makes watching William's story unfold a sightseeing tour of potential markers for his alleged eventual transformation into the Man in Black. In 'Trompe L'Oeil', William and Dolores take their relationship to an unsurprising place. And in doing so, William discusses some sentiments that sound remarkably familiar to what the Man in Black has embraced in his quest for the center of the maze. "… The only thing I had when I was a kid were books. I used to live in them. I used to go to sleep dreaming I would wake up inside one because they had meaning. This place, this is like I woke up inside one of those stories. I guess I just want to find out what it means." At this point, it seems Westworld is all but confirming that William and the Man in Black are one and the same. There still might be a surprise hidden in here somewhere, but William and Dolores's journey to where the mountains meet the sea sure looks a lot like the birth of a decades-long obsession. Did Dolores find the entrance to the maze? Speaking of the place where the mountains meet the sea – did Dolores just find the entrance to the maze? And by that, perhaps the question is: did someone give Dolores knowledge of where the mountains meet the sea ahead of her journey off loop for the purpose of her locating the maze? Right now, Dolores's journey has so many questions in it, ranging from when it takes place to who her traveling companion may or may not later become, that everything she does sparks a new question. The biggest one here is the one asked above? If it is the entrance to the maze, then that might disprove the theory that William is the younger version of the Man in Black, as he would already know the location of what he seeks. If William is the black-clad searcher, then it asks the question: what, exactly, is the importance of what Dolores was drawing and what she subsequently found? As Lawrence tells them, they're about to venture into territory from where nothing has ever returned. One popular theory suggests that at least two characters will prove El Lazo wrong. Westworld continues next Sunday with 'Trace Decay' @9pm on HBO.